If you’ve stepped foot in a drugstore, sat at a cosmetic counter or flipped open the pages of a magazine, most likely you’ve seen CC Creams. There’s also a chance you’ve said “Wait, what’s the difference between BB, CC and DD creams? !” Beauty products can be confusing and finding out what you need for your skin type or issue can be downright frustrating, not to mention expensive. Do you need a CC Cream? Do you wear it under your foundation? 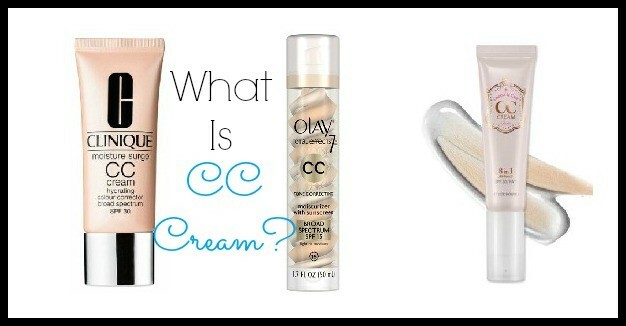 Let’s start off with defining just what a CC Cream is. CC stands for “color correcting” and helps even out uneven skin tones. They usually cover better than BB Creams and sometimes include sun protection. They are lighter on the skin and are being called a new and improved BB Cream – but with slightly different qualities. If you’re looking for a lighter foundation, go with a BB Cream. If you’re looking for something to even out your skin tone or cover redness (aka rosacea), try a CC Cream. You should be able to wear a CC Cream alone and without a second foundation, whereas a BB Cream you might need some extra coverage. Have you tried a CC Cream? If so, let me know what brand and what you thought about it!